Here's another partially restored image from the Woods family slide vaults. 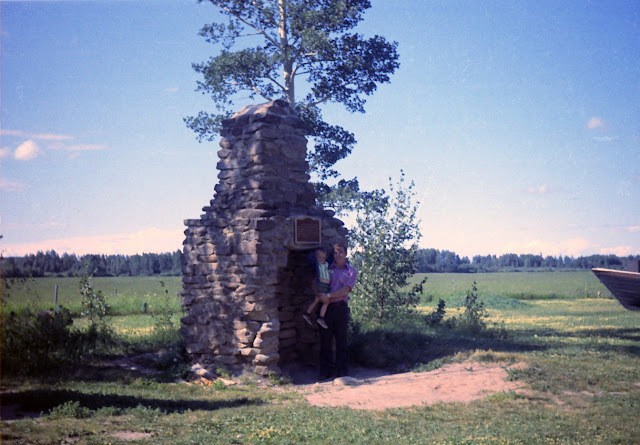 That's Dad holding me up in the shadow of a chimney with a plaque on it, meaning this must be some kind of historical ruin. It's pretty cool and might be worth a road trip to see, if it still exists.